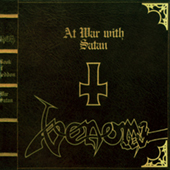 AMAZING DOUBLE 180 GRAM LIMITED EDITION GATEFOLD VINYL REISSUE OF VENOMS SECOND ALBUM. Considered a seminal influence for thrash and coming to prominence towards the end of the 'New Wave of British Heavy Metal', Venom have found little mainstream success or critical acclaim, but are widely regarded as highly influential, particularly for their first two albums, Welcome to Hell (1981) and Black Metal (1982). 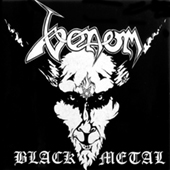 The title of Venom's second album would become influential and definitive enough to describe an entire subgenre called black metal, even though the band's music would not be considered 'black metal' by today's standards. 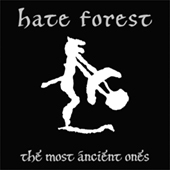 The nature of Venom's high-pitch guitars, harsh vocals, use of pseudonyms, and unrelenting emphasis on Satanic lyrics and imagery is considered the template for the subgenre's later successes, and arguably for the broader extreme metal movement in general.